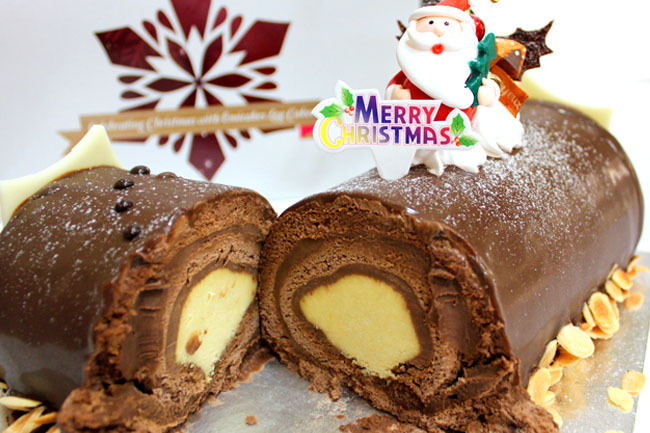 Christmas Giveaway – Choco-Durian Christmas Log from Emicakes! Christmas is never complete without logcakes that stir up the magic of childhood and fun holiday memories with family and friends. 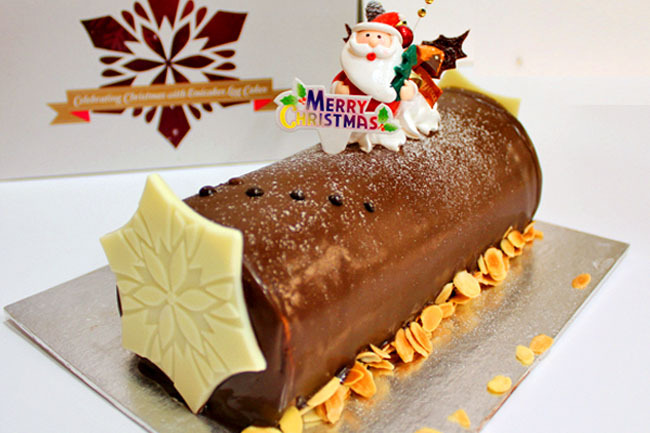 Some logcakes are very unique-tasting, and Emicakes’ offering will certainly please many Singaporeans and is one to remember in many Christmases to come – A Choco-Durian Christmas Log! The Choco-Durian Christmas Log ($49) is a daring combination of chocolate ganache and D24 durian. Never had the two together before? It’s actually quite a rich perfect combination of the two distinct flavours. To get into the mood of sharing and giving this Christmas, Emicakes will be giving away 3 boxes of their Choco-Durian Christmas Log to 3 blessed Daniel’s Food Diary readers. ← Nene Chicken – Korean’s Favourite Fried Chicken Has Arrived To Singapore! Wow, first time seeing durian in X'mas log~! Very unique and localised flavour, I will like to get one for this X'mas party~! Wow, first time seeing durian in X’mas log~! Very unique and localised flavour, I will like to get one for this X’mas party~! Durian lovers, a perfect cake for this Christmas celebrations. My guess is Plaza Singapura.I luv Chocolate and Durian, that's why I can't wait to try this fabulous Christmas Log Cake! Opps, forgot to put in the Answer. I guess it’s Plaza Singapura Branch. It looks like Tampines 1 Mall..or is it? Plaza Singapura. Heavenly combination of durian and chocolate… yummy! Plaza Singapura. Heavenly combination of durian and chocolate…. yummy! 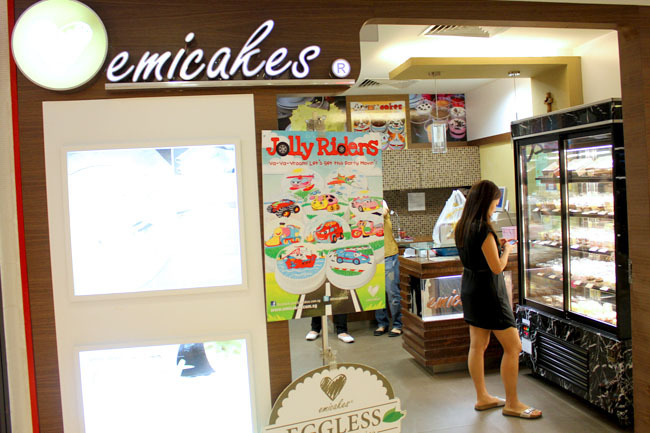 Emicake branch featured in the photo above is plaza singapura. I pass by this outlet EVERYDAY! It's Plaza Singapura =D. Plaza Singh is my guess, have liked and shared on my timeline. Plaza Singapore. What an interesting combination.. Nice post.. thanks for the giveaway. Congratulations to Amanda Goh, Jacob Teo and June Lee for each winning a yummy logcake from Emicakes. Please send a mail to DanielFoodDiary@gmail.com with your contact details. Plaza Singapura. What a great way to enjoy Christmas delight! It is the branch at Plaza Singapura. Arrrr.. “Must be” Plaza Singapura.. xxxxxxxxx my fingers! Hope to win and give my dad a treat. Hope to win this lovely Christmas Logcake for my family : ) hO hO hO ! Answer : Plaza Singapura Branch. Spread The Love This X’mas ! My guess would be that its Plaza Singapura’s Emicakes branch featured in the post above! My guess would be that its Plaza Singapura's Emicakes branch featured in the post above! Do look out for more Christmas giveaways on Daniel’s Food Diary the coming week. Merry Christmas in advance! Thank You Daniel for the Nice Log Cake. it helped me out a lot. I hope to give something again and help others such as you aided me.